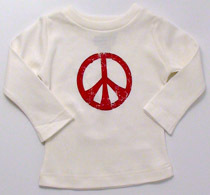 This signature long-sleeved T from the House of Mongrel has a "distressed" peace sign across the chest. 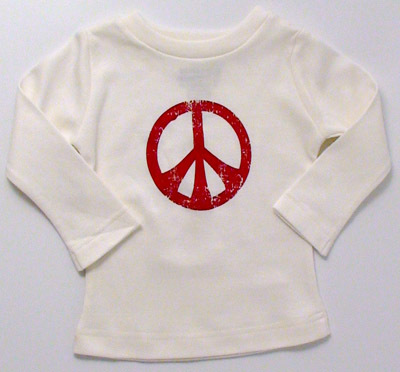 Done in 100% organic cotton and low-impact dyes and inks, this soft shirt looks great for both boys and girls. This shirt in natural, but also available in green.